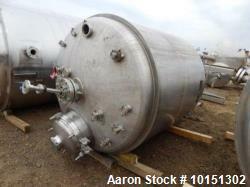 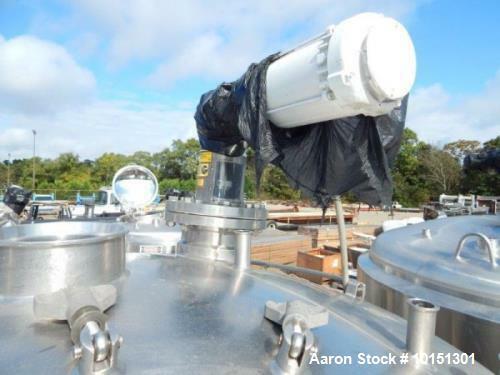 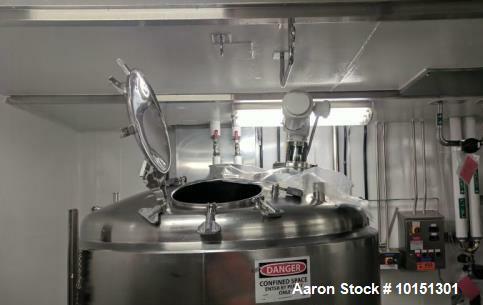 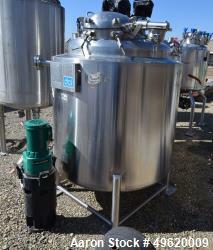 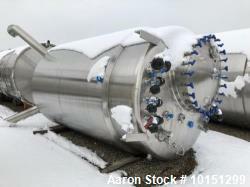 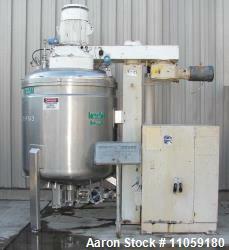 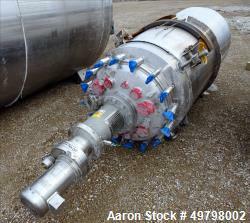 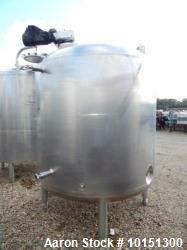 Used- Approximately 1,000 Gallon (4,000 Liter) Stainless Steel Vertical Reactor. 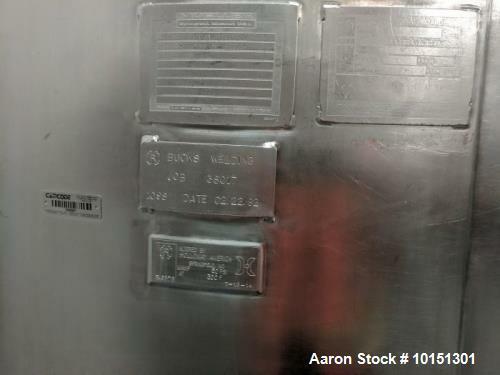 Manufacturer: Mueller, National Board # 9046, Serial # P5370-1. 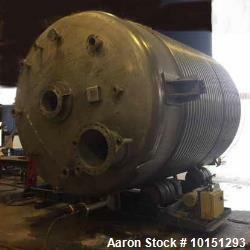 Internal pressure: 50 psi at 300 degree F, Jacket pressure: 100 psi at 300 degree F. Dimensions: 72" diameter x 72" straight side. 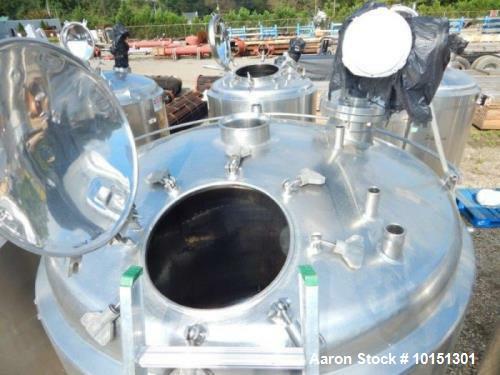 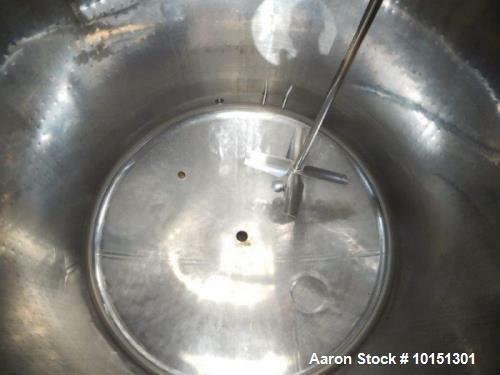 Dish top, dish bottom, Top-mounted, offset Lightnin agitator, 2-tier mixer, (1) 4-paddle and (1) 3-blade propeller (6) top nozzles, (2) bottom nozzles, 18" top manway. 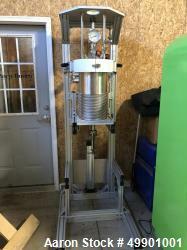 Mounted on (4) stainless steel legs.